Two long serving St John volunteers have been thanked for their commitment and service to the charity. 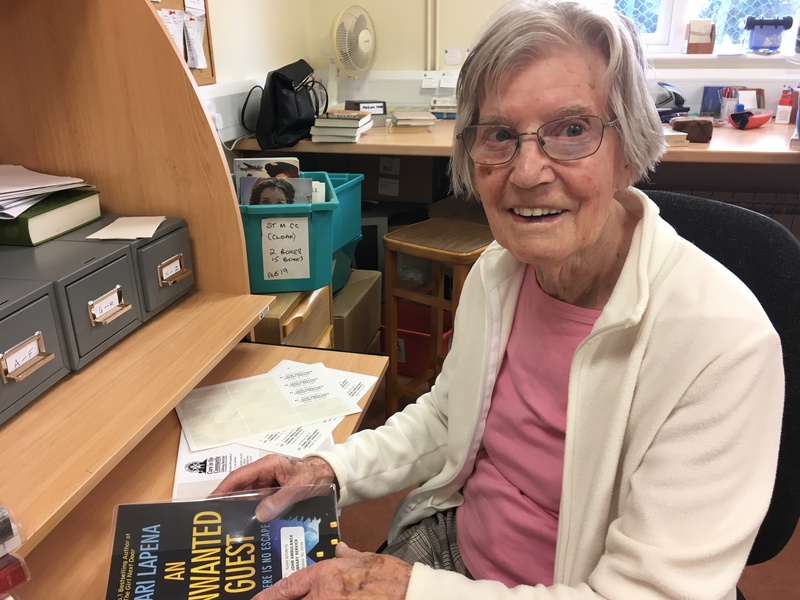 Grace Spittal and Betty Fooks both give their time to the St John Community Library, which provides large print books and a home delivery service for islanders who are unable to get to other libraries. Grace, who started volunteering after reading a Guernsey Press article in 1997, was presented with her Certificate of Recognition by the Chairman of St John Guernsey Jurat David Hodgetts. Grace volunteers as a delivery driver taking books to residents of local care homes. Each week she fills the boot of her car with boxes of books from the Rohais and delivers them around the island. “I love people, I love books and I love being pleasantly busy! My role is to find out from my readers the type of books they enjoy and the ladies at the library make up my boxes with a months’ supply of books,” said Grace. Betty works in the library helping with indexing and loans. Betty has been involved with the library for more than twenty years and recalls the old hut which used to house the library before it moved into the new space behind the training hall at the Rohais. Until very recently Betty would catch two buses to get to the library every Tuesday. The St John Community Library is open every Tuesday from 1pm to 4pm at the Rohais. There is good access with parking right outside the door. Books can also be ordered by calling 07911 733928.